Some newspaper columns are so convoluted, so twisted in their contradictions, that they soar way beyond the reach of any adequate response. Michela Spiteri’s piece last Sunday was one such article. Read it if you will and try to explain to me why she “agreed 100%” with lawyers protesting against the push back of migrants stranded at sea in 2013, but says she would never have joined in the protests any way. She then proceeds to complain that people protesting since 2013, were not protesting before that. She makes that complaint in spite of having just confessed she would join a protest not on the basis of conviction but political tactics. After somehow blaming Daphne Caruana Galizia for maneuvering PN internal affairs from the grave, she asks indignantly why people protest in the streets because Daphne Caruana Galizia was blown up in flames but did not do the same when Franco Debono … Must I finish that sentence? Who can find the motivation to publicly compare the fates of Daphne Caruana Galizia and Franco Debono? And then proceed to plea for great sympathy for the latter. You read an article like Michela Spiteri’s from last Sunday and you wonder if something is not quite right. Until of you course you find something is. 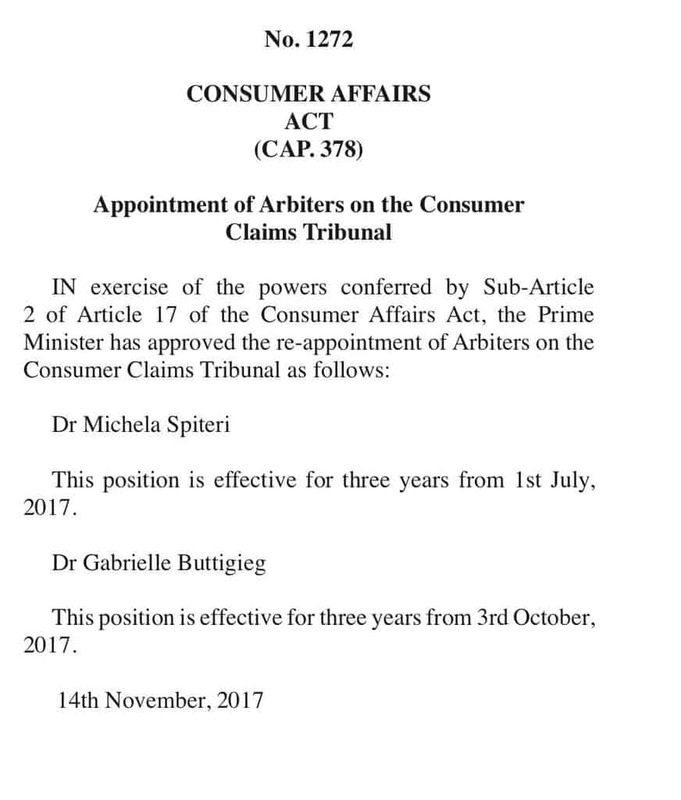 Within two days of her unlikely criticism of people demanding justice after Daphne Caruana Galizia’s assassination, Joseph Muscat appoints her arbiter on the Consumer Affairs Tribunal, backdated to when Daphne was still alive. It may indeed require good will. While that remains elusive, Dr Michela Spiteri can make do with a nice iced bun.